The ‘Stoopid’ Rapper, Who Will Be Spending Thanksgiving In Brooklyn’s Metropolitan Detention Center, Has Learned From Federal Agents That His Fired Team Wants To ‘Super Violate’ Him. Tekashi69 will be spending Thanksgiving behind bars after postponing his emergency bail hearing on Wednesday, November 21. The rapper, who was arrested and charged with six federal counts including conspiracy to murder and racketeering on Sunday night, November 18, has reportedly told his lawyer he fears for the safety of his family after severing ties with his managers, promoters and agencies last week. 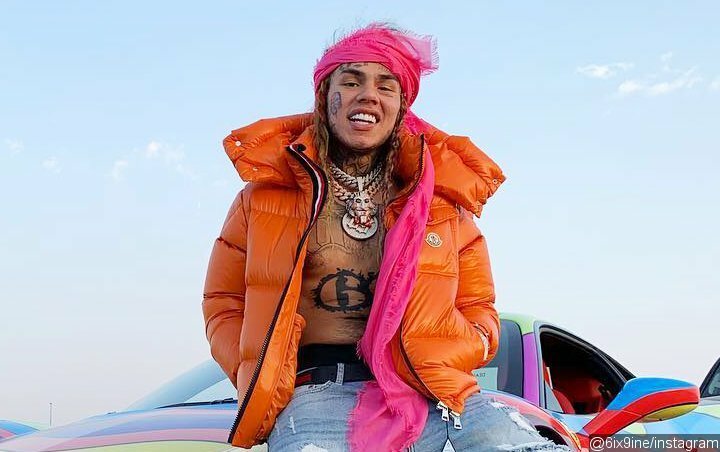 Federal agents claim his former aides want to “super violate” him – a gang term for revenge, and his attorney, Lance Lazzaro, admits Tekashi, real name Daniel Hernandez, fears for his life and the lives of his family members. But the attorney reveals he doesn’t know of any specific threat to the family. Tekashi is currently behind bars in Brooklyn’s notorious Metropolitan Detention Center after he was denied bail on Monday following his indictment on the six federal charges. U.S. Magistrate Judge Henry Pitmaneven insisted the “FEFE” hitmaker, aka 6ix9ine, should remain behind bars, despite the offer of $1.5 million (£1.2 million) from his lawyer. Prosecutors claim the rapper is linked to the Nine Trey Gangster Bloods gang, and Tekashi is now facing a life sentence and a minimum of 32 years behind bars if convicted. Refusing bail, the judge ruled that 6ix9ine’s freedom poses a threat to society. Lazzaro is planning to appeal the ruling.